Shapiro Auctions was founded in 2007. For today, this auction house located in the heart of New York City, the art capital of the world, is a recognized leader in the market of Russian fine and decorative arts, as well as European, Asian, North and South American art. Its auctions feature impressive specimens of rare books and manuscripts, icons, paintings, and all kinds of world cultural heritage, including antique and modern art. In addition to the auction and private sales, this House offers fair appraisals of different fine art works for insurance, charitable donation, museums, trusts, and also private art collectors from all over the world. Fine Art Shippers, in its turn, being the recommended fine art shipping company of this reputable auction house, is engaged in a variety of art handling works and after sale shipments, including those overseas and across the USA. In particular, our collaboration includes Russia and CIS shipments, and also such a laborious process as international art transportation of large pieces that are hard to move and maneuver, which additionally requires complex packing and crating services. A rare combination of personal service provided by Shapiro Auctions and Fine Art Shippers is able to please even the most demanding customers! Founded in 1994, the Russian Store today is the only one in North America official supplier of antique icons and religious artifacts for the Synod of the Russian Orthodox Church Outside Russia. Here you can purchase 100% authentic, magnificent, and historically important antique Russian icons, reliquaries, and Orthodox religious artifacts brought together from the best collections of America and Europe. The Russian Store also assists in the preparation of significant museum, corporate, and private art collections, consults auction houses, public, and religious organizations in many countries worldwide, as well as organizes exhibitions of Russian icons across the USA, in particular along the East Coast and Central United States, New York, Washington, and Miami. Moreover, here you can sell your own collection of Russian icons or even a single Russian, Greek, or Ukrainian Orthodox icon or artifact and get a free value estimate. So if you are looking to buying or selling a special Russian Orthodox icon, Catholic saint relic, or Christian religious artifact, the Russian Store is a place you need. As for Fine Art Shippers, we will be happy to provide you with the best quality fine art packing and artwork transport services, no matter whether you need your new acquisition to be delivered locally or internationally. Jackson’s International Auctioneers and Appraisers was founded in the USA in 1969. It is headquartered in Cedar Falls, Iowa. Jackson’s Auction House is one of the biggest and most significant players in the American market. Every year, the company appraises and sells hundreds of fine art items and antiques, with prices reaching and exceeding millions of dollars. The company has 13 operating departments, and to make the buying process as accessible as possible, the Jackson’s Auction House offers its clients several types of bidding, including bidding in person, internet bidding, absentee bidding, and bidding by phone. If your bid wins, you are provided with a variety of payment options, including a certified check, cash, wire transfer, or money order. Nevertheless, paying for an item bought through Jackson’s is not the end of the purchasing process as clients of this auction house often face the challenge of getting their new property to its ultimate location safe and sound. No matter how hard it may seem to find such a reliable art shipper – the answer to this dilemma is easy: Fine Art Shippers will professionally assist you with fine art shipping, packing, crating, delivery, and storage of your works of art, while guaranteeing the best pricing and individual approach. Galeyev Gallery, which is named after the well-known expert in Russian art of the 1920s-1930s Il’dar Galeyev, was founded in 2002. Located in the heart of Moscow’s historical and cultural center, it specializes in Russian artworks of the pre-World War II period. The gallery also has a special publishing program, the main goal of which is to fill in the gaps of the history of Russian art. It publishes complete scientific monographs on artists of that period, which serve as the primary source for studying of their work. In 2005, Galeyev Gallery was awarded the Silver Medal of the Academy of Arts for its publication of a unique artist monograph on Leningrad painter Nikolai Lapshin (1891 – 1942). Moreover, its publications were also awarded diplomas by the Russian Association of Book Publishers in the nomination “The best book about the art.” In other words, Galeyev Gallery’s fine art exhibitions not only excite scholarly attention but also appeal to an audience interested in art on the whole. In addition, Galeyev Gallery manages private and corporate art collections, as well as participates on behalf of the clients in the auctions worldwide. At Fine Art Shippers, we are proud to work with Galeyev Gallery, providing this amazing gallery with a variety of artwork shipping and art logistics services! Impact Art Gallery is a charitable art gallery that gives both artists and art buyers the power to make a real difference. Founded by Nick Delgado with the aim to make the world a better place, this gallery now serves as a unique outlet for all connoisseurs of art, wishing not only to acquire a beautiful artwork for their collection but also to make an impact on whatever cause they believe in. 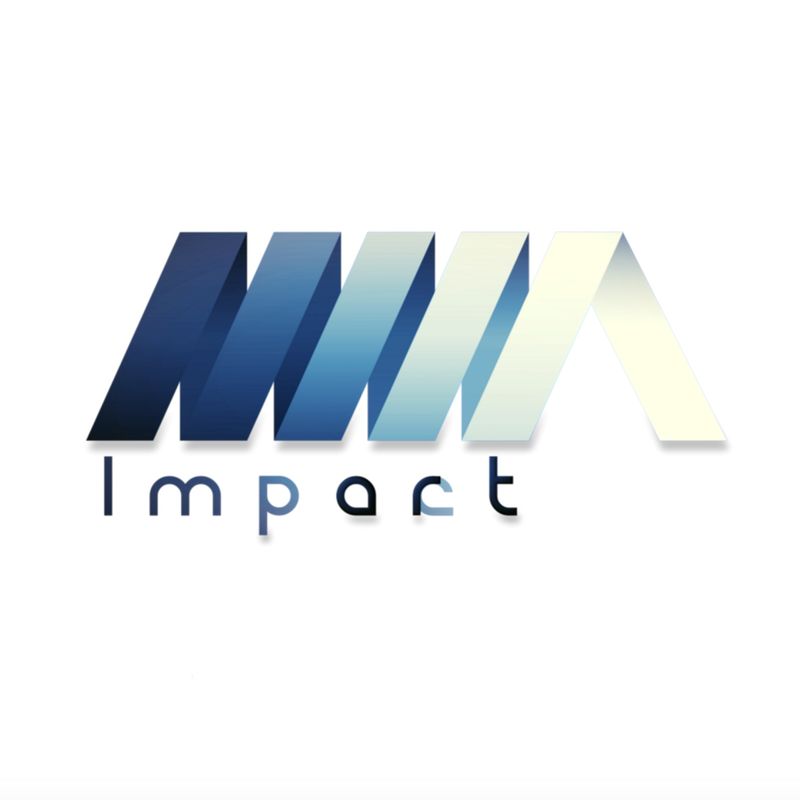 The fact is that when a painting or any other piece of art is purchased through Impact Art Gallery, 30% of the proceeds go to a charity of the buyer’s choice. In other words, this art gallery gives everyone an opportunity to change the world for the better through artistry, creativity, and passion. Besides, it is backed by only the most talented contemporary artists, including Vladimir Nazarov, Jamie Gaviola, Anyes Galleani, and Tigran Tsitoghdzyan. For this reason, Fine Art Shippers is especially proud to see Impact Art Gallery among our clients and to provide professional fine art packing and shipping services to everyone who purchases art via it. So if you need any fine art moving assistance with your artwork, Fine Art Shippers will be happy to help! Established by Robert and William Roland in 1973 as an antique gallery serving the United States and Europe, Roland Auctions has grown to become one of the most reputable auction houses in New York. For today, it offers a variety of services, including appraisals, consignments, and estate liquidation, not to mention that Roland Auctions NY also specializes in selling fine art, antiques, vintage furniture, jewelry, and other valuable and collectible objects. Besides, it is known for its professional in-house and online estate sales, both small and large, held every month. Since Roland Auctions NY operates throughout the US and internationally, exporting fine art objects to collectors and dealers the world over, Fine Art Shippers is happy to see this auction house among our clients. Offering comprehensive fine art logistics services, we are always ready to provide auction buyers and sellers with a whole range of secure and cost-effective fine art packing and shipping solutions to meet all their needs. 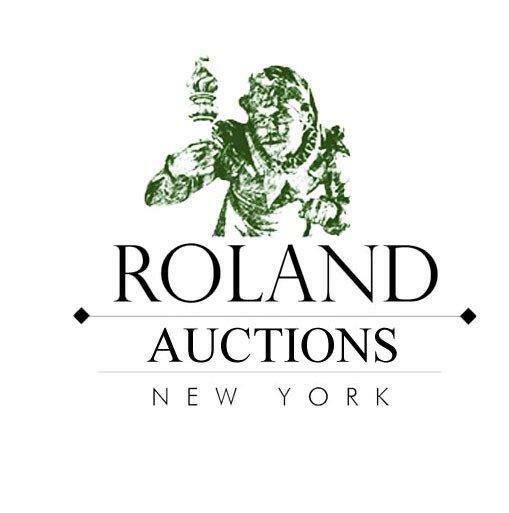 Every auction conducted by Roland Auctions NY is always a staple event for connoisseurs of art, decorators, and dealers alike, so we highly recommend this auction house to everyone looking for a reliable place to sell or buy their art and antiques. 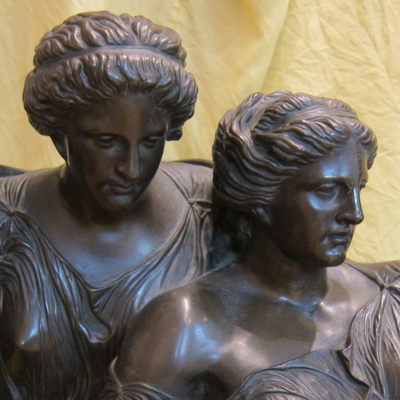 Founded by Lark Mason in 2003, iGavel Auctions is dedicated to the online auction sale of antiques, fine art, and all kinds of collectibles offered by a group of associated sellers and independently owned auction houses. For today, this site is a leader in its field, providing art collectors and dealers with the world-class auction services. Whether it comes to jewelry, fine ceramics, luxury watches, or vintage furniture, each lot offered through iGavel Auctions is always accompanied by complete condition reports, clear professional descriptions, and a number of high-quality images, which allows the buyer to be confident in the purchase. Besides, while auction sales take place online, iGavel Auctions often hosts exhibitions so that the buyers could handle and examine all the lots first-hand. At Fine Art Shippers, we are happy to be engaged in this process, providing secure art shipping services to auction sellers and buyers from all over the world. Besides, since most of the items sold via iGavel Auctions are very valuable and fragile, we offer professional fine art packing services aimed at keeping even the most delicate objects secure during the whole process of transportation. We cherish our cooperation with iGavel Auctions and are determined to deepen our partnership. Peanut Gallery LLC first opened its doors in 2016 and since then has been one of the best places in New Jersey to come for mid-century modern and contemporary art. Located at 338 Springfield Avenue, Summit, this unique art gallery is home to a beautiful collection of works by such renowned artists as Rolph Scarlett, Victor Vasarely, Hunt Slonem, Peter Keil, and Yaacov Agam, which makes it a must-visit destination not only for art aficionados but also for serious collectors and dealers. The success of Peanut Gallery is mainly due to the honest efforts and devotion of its founding owner Penelope Kernen, a well-known American TV producer and an incredibly inspirational woman, who is additionally active in various charity events. Fine Art Shippers is honored to work with Peanut Gallery, its talented artists, and all those who purchase art through this fantastic gallery because we share the same values and love for art. Aimed at providing customized fine art moving services, our team of New York luxury movers always makes every effort to deliver only the best results with speed, flexibility, and the utmost personal attention. After all, every artwork purchased through Peanut Gallery is unique and should be treated with the respect it deserves. 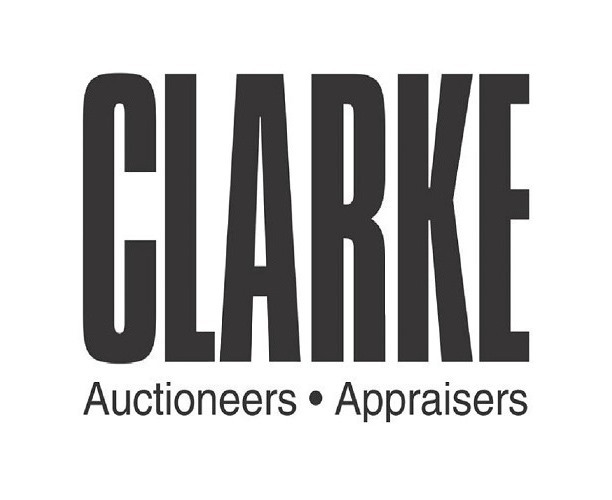 Started in Westchester in 1998, Clarke Auction Gallery is known today as one of the most reputable mid-range auction houses in New York City. Located in the center of Larchmont, it is operated and owned by Ronan Clarke who additionally acts as an appraiser and consultant to all those who want to sell or buy exclusive items. Specializing in fine art, design, jewelry, decorative arts, furniture, and antiques, Clarke Auction Gallery runs several on-site sales and does approximately 16 in-house auctions per year. Besides, it offers professional art and antique appraisal services, giving everyone an opportunity to get a free verbal opinion on up to four items every Wednesday. It is also worth noting that you have several bidding options when buying art and antiques through Clarke Auction Gallery, including bidding in person, phone bidding, and absentee bidding. As for the delivery of your new acquisitions, Fine Art Shippers is always happy to help. We have long been providing white glove moving services to Clarke Auction’s clients and are ready to do it for you too. From moving expensive furniture to a variety of other luxury moving services, Fine Art Shippers is the right place to come for professional artwork moving assistance. Fine Art Shippers is proud to call Will Yaya our client. This incredibly talented Colombian-born artist, who lives and works in Barcelona, Spain, is known for his fiery passion for art in all its many forms. From drawings and paintings to sculptures and jewelry accessories, Will Yaya creates truly unique pieces of art, distinguished by the artist’s very own style, brilliant colors, figurative forms, and only the finest materials. It is impossible not to mention that this amazing person and his no less talented brother Alexander Yaya are also known for making Author Wine inspired by the greatest Masters of all time. Besides, Will Yaya is a gallery owner, with two fantastic spaces in Barcelona, known as Crisolart Galleries, and a very beautiful art gallery in New York City showcasing works by the best contemporary artists from around the world. Whether it comes to a single painting or an entire collection of valuable artworks, shipping fine art for Will Yaya is always a great pleasure for Fine Art Shippers. Moreover, this applies not only to the art installation and gallery moving services in New York City, but to the international transportation too as we ship fine art for this prominent artist worldwide. 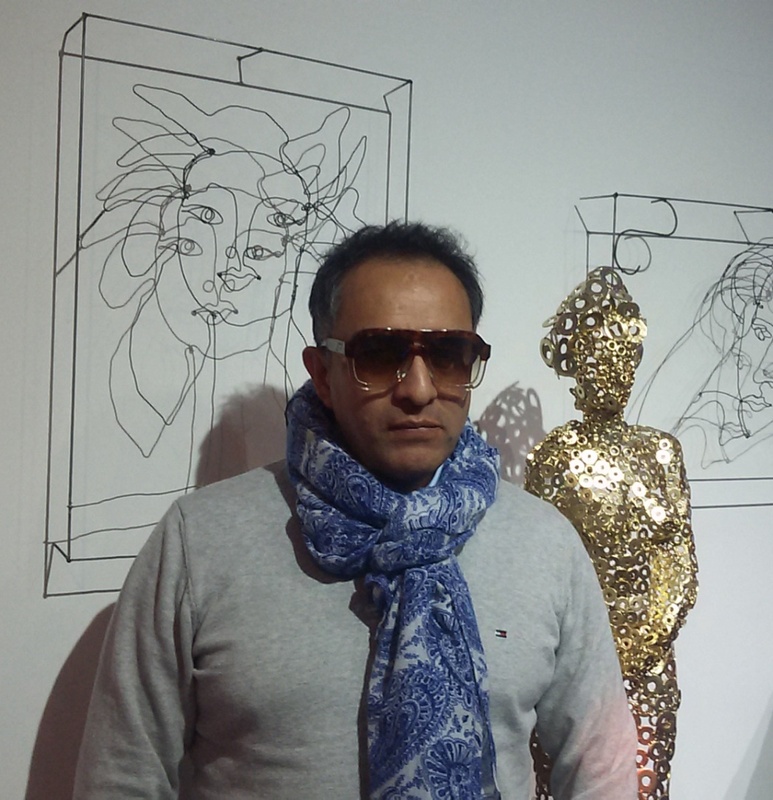 Vladimir Nazarov is one of the best contemporary visual artists living and working in NYC. His amazing works distinguished by the innovative use of layering and color are indeed unique and not only because of the way they look, but also because of the energy they have. Inspired by the artist’s various travels abroad, nature, and different cultures, Nazarov’s creations are all emotionally-charged and impactful one way or the other. Moreover, while this artist is largely known for his fantastic large paintings, he is also a very talented sculptor able to create a true masterpiece even from a simple piece of wood. 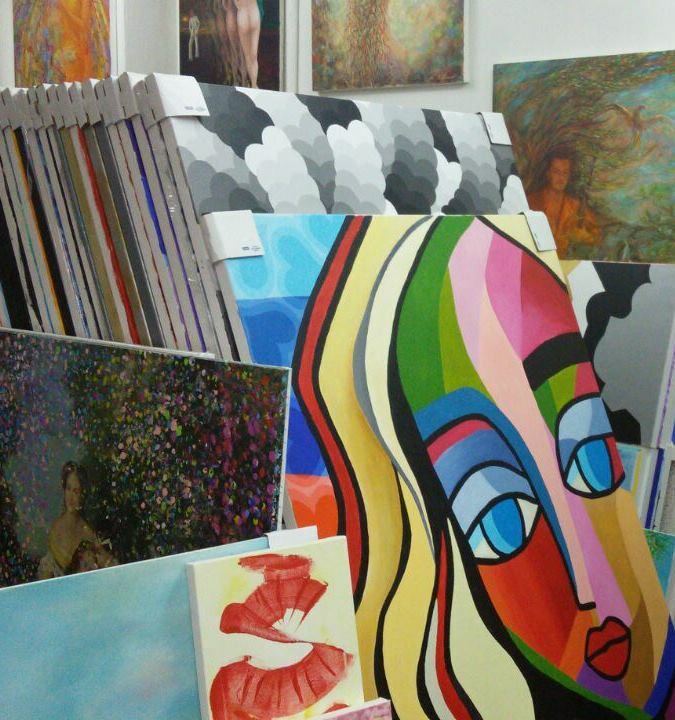 At Fine Art Shippers, we enjoy visiting Vladimir Nazarov in his beautiful studio in Dumbo, Brooklyn, and we do enjoy moving fine art for this amazing artist, no matter whether it comes to colorful paintings, well-executed sculptures, or any other artworks. If you look at any of Nazarov’s works, you will notice that it has a somewhat healing power inside, which makes any stress disappear. We are very proud to work with Vladimir Nazarov and ship fine art for him across the Tri-State Area and nationwide. It is a big honor for Fine Art Shippers to see such a prominent artist among our clients! 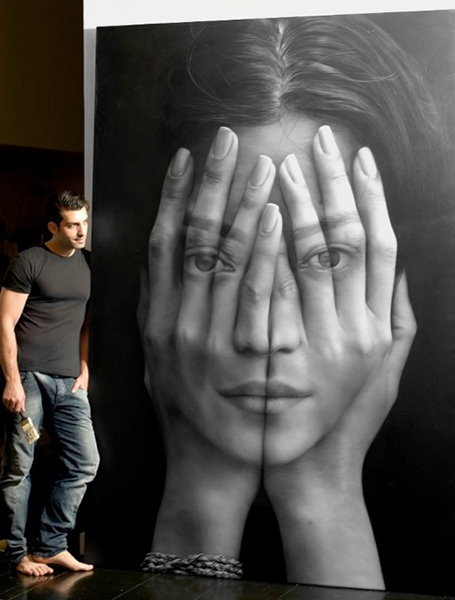 There is nothing like hyper-realistic portraits by a New York-based visual artist Tigran Tsitoghdzyan! They are fantastic. They are incredible. They are simply out of this world! At Fine Art Shippers, we are extremely proud to work with Tigran Tsitoghdzyan, shipping artworks for him both nationally and internationally. This Armenian-born artist is indeed very talented, so it is no wonder that his outstanding works have been exhibited throughout the world since he was only 10 years old. For today, Tigran Tsitoghdzyan is largely known for a series of large uncanny portraits of women, which look like the negative of a photograph. However, these black and white masterpieces are actually huge oil paintings that perfectly mix portraiture with surrealism. Such a bold and very unusual style of painting has made Tigran one of the most recognizable and popular contemporary artists living and working in NYC. It is always a great pleasure for our team of art shippers to handle works by Tigran Tsitoghdzyan and assist him with art installations of any kind. Plus, at Fine Art Shippers, we also help this amazing artist organize gallery exhibitions of his works, as well as deliver them to Tigran’s customers throughout the United States. When it comes to the most prominent contemporary sculptors working in the medium of plate glass, Henry Richardson’s name is always among the first on the list, so it is a great honor for Fine Art Shippers to see this renowned person among our clients. Henry Richardson is a very talented American artist born in 1961 in Syracuse, NY. He studied art and geology at Haverford College, PA, which has allowed him to create truly amazing sculptures distinguished by their large size and unique material composition. The fact is that most of Richardson’s masterpieces are made with a very special technique combining traditional stone sculpting with the latest technological innovations in bonding and hand cutting glass. It is no wonder that Henry Richardson’s works can now be found in many museums, public spaces, and private collections throughout the United States. 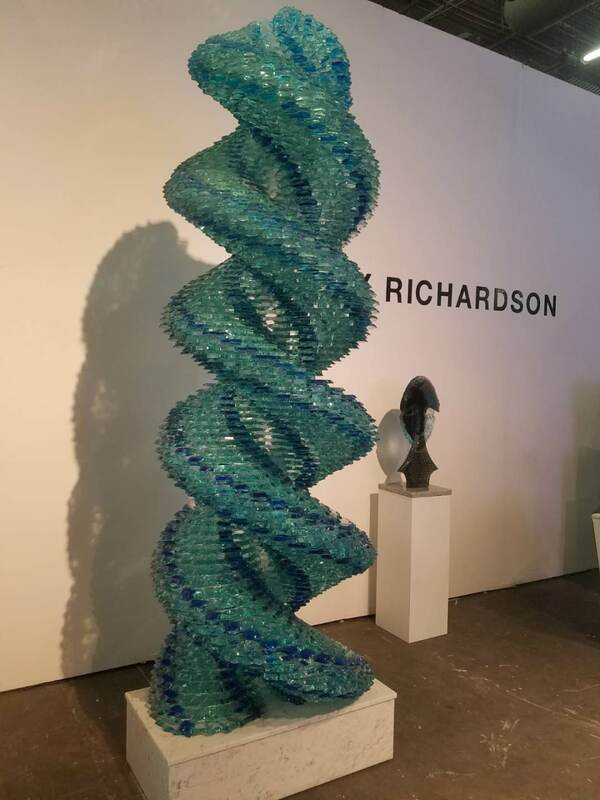 Even though shipping fine art like that is not an easy job as Richardson’s large glass sculptures represent heavy and complex engineering structures that are very hard to handle, our team of professional fine art shippers really enjoys this challenge. After all, moving fine art by Henry Richardson is always an amazing experience and a great opportunity to apply our knowledge and skills. Bruun Rasmussen is one of the oldest and largest auction houses in Scandinavia, founded by Arne Bruun Rasmussen in 1948 in Copenhagen. For today, it has two locations in Denmark and also international representative offices in the USA, England, France, Spain, and Italy. For several decades of its existence, this trustworthy auction house has sold a wide range of unique items, from carpets, silver, and wine to modern design, paintings, and antique furniture. It is also worth noting that Bruun Rasmussen holds auctions almost every day of the year, most of which are conducted online. However, there are also traditional live auctions held at Bredgade in Copenhagen, which always feature truly exceptional pieces of valuables and collectibles. Fine Art Shippers is very happy to call Bruun Rasmussen our client, and it is a great pleasure for our team to ship fine art and antiques for this sought-after Scandinavian auction house. Besides, as professional auction shippers, we provide a whole range of supporting services, from art packing and crating to art installation and art storage, which makes our collaboration even more effective, convenient, and fruitful. Fine Art Shippers highly recommends Bruun Rasmussen for all those looking for quality art and antiques at reasonable prices! Art d’Aurelle is a multicultural, interdisciplinary gallery located on Orchard Street, a flourishing destination for modern and contemporary art in New York City. This amazing gallery also has spaces in Paris, so it is no wonder that it represents many talented French artists working in various media. Art d’Aurelle has long been known for its outstanding selection of paintings and sculptures, many of which are additionally exhibited at some of the most important international art fairs like Art New York presented by Art Miami. These include works by Alben, Joseph, Frederic Garnier, Sylvie Ursulet, and many other great French contemporary artists who are newcomers on the New York art scene. It is a real pleasure for Fine Art Shippers to work with Art d’Aurelle, and we pride ourselves on providing this beautiful gallery with a full range of fine art shipping services of the highest quality. Our team of professional art shippers highly recommends this fantastic place to everyone looking for interesting and unique art pieces by both prominent and emerging French artists. Besides, Art d’Aurelle offers a truly superb customer service that always goes above and beyond customer expectations. Eric Art Services is one of the best international art moving companies offering safe, professional, and fast fine art shipping services to museums, auction houses, galleries, private collectors, enterprises, and individuals. This art logistics company is headquartered in Hong Kong, with offices in Shanghai, Beijing, Guangzhou, Xiamen, Shenzhen, and London, which allows it to successfully operate throughout China and other Asian territories. Moreover, Eric Art Services works with many reputable fine art shipping companies around the world, providing first-class art logistics services tailored to meet the needs of even the most demanding clientele. In particular, these include professional art packing and crating services, export and import handling, exhibition services, various art storage options, art security services, and many others. At Fine Art Shippers, we are very proud to form a strategic alliance with Eric Art Services, thus expanding our international fine art shipping services to mainland China, Hong Kong, Taiwan, and other Asian countries. Our partnership with this innovative company is definitely beneficial to all our clients. So whether you need to ship art from the United States to China or vice versa, you won’t find a better option than the one we can offer you at Fine Art Shippers! Clic Gallery is an incredible concept store that has become a must-visit destination for luxury home décor, rare books, contemporary art, hand-made accessories, photography, apparel, and a whole range of other unique and amazing items. Established by the former stylist Christiane Celle, who is also the founder of the well-known Calypso empire, this beautiful and airy gallery now has several locations in New York City, East Hampton, and also the original store in St. Barth, which was opened in 2008. While Clic Gallery is all about interesting and one-of-a-kind pieces, it is, first and foremost, famous for its superb collection of contemporary photographs, including works by such famous international photographers as Douglas Kirkland, Ron Galella, Brian Hodges, Shelli Breidenbach, and Antoine Verglas. In addition to the art of photography, Clic Gallery also offers an impressive selection of books, designer furniture pieces, jewelry, and various decorative items for any taste. At Fine Art Shippers, we are very proud to be working with this concept store, providing our fine art shipping and local art courier services to its happy clients. It is indeed a fantastic place, and our team of art shippers highly recommends it to everyone who is in pursuit of excellence. 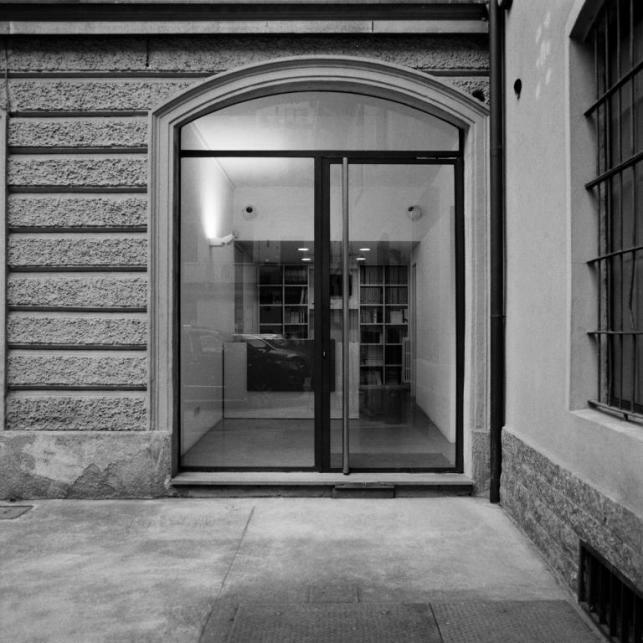 Founded in 2000, Galleria ZERO is a very beautiful art gallery located in Milan, Italy, which holds strong relationships with many reputable private and public institutions. Featuring an amazing selection of drawings, paintings, photographs, sculptures, installations, and video works by both emerging and established artists, it aims to increase the world’s attention to contemporary Italian art. In particular, Galleria ZERO now represents such great Italian talents as Giuseppe Gabellone, Yuri Ancarani, Francesco Gennari, and Alessandro Pessoli. In addition, this art gallery also collaborates with many international artists, including Adam Gordon, Cezary Bodzianowski, Cally Spooner, and Shimabuku, which makes its collection of artworks even more attractive for art business professionals and connoisseurs alike. Fine Art Shippers is very happy to work with Galleria ZERO, providing this fantastic Italian gallery with fine art shipping and art installation services of any kind. Besides, our team of art handlers also helps Galleria ZERO prepare for the international art shows, including the well-known Art Basel fair. It is an honor for Fine Art Shippers to call Galleria ZERO our client and partner, and we do recommend this Milan-based gallery full of unique art pieces if you are looking to add or start a quality art collection! Nye & Company is one of the most trusted and reputable auction houses in the New York metropolitan area. Located in Bloomfield, NJ, it is owned and operated by John and Kathleen Nye who purchased this business in 2003. 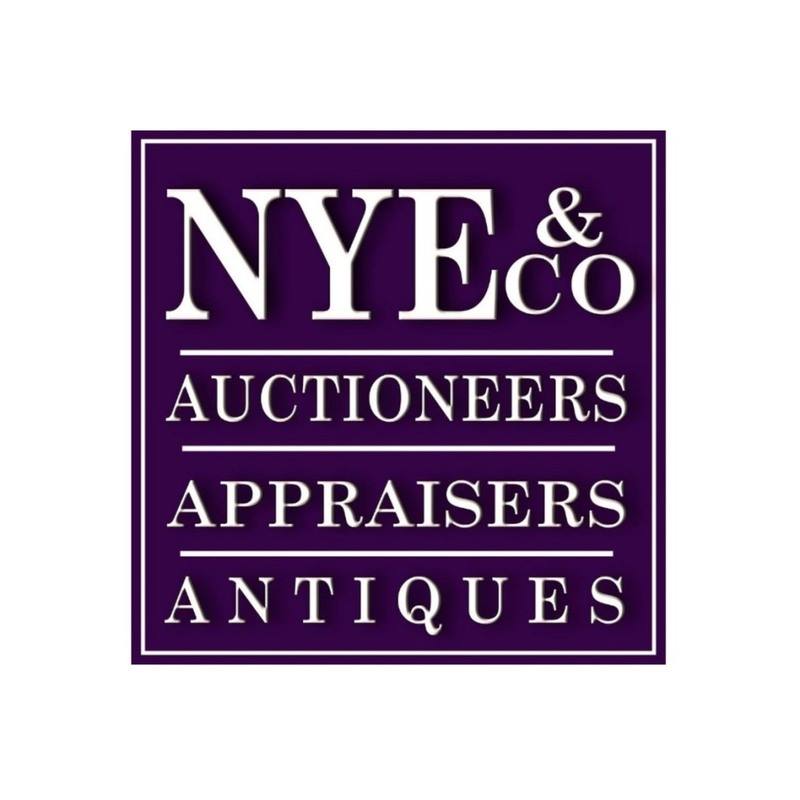 Nye & Company holds monthly auctions dedicated to antiques and heirlooms, each complemented by the full-color online catalog and the public exhibition scheduled for several days prior to the sale. It is also worth noting that this well-established auction house offers expert appraisals conducted by nationally-known specialists in full accordance with the highest industry standards. Each appraisal includes a photographic record of the client’s belongings, a valuation, and a detailed descriptive list, making it an ideal option for any insurance or probate purposes. At Fine Art Shippers, we are very happy to work with Nye & Company, providing it with a variety of art handling, art packing, and art shipping services. Moreover, we highly recommend this Bloomfield-based auction house to everyone looking for high-quality antiques at a reasonable price. The best auction experience and friendly service are guaranteed! As for Fine Art Shippers, we will be happy to deliver your new acquisitions to wherever they need to be in the world! 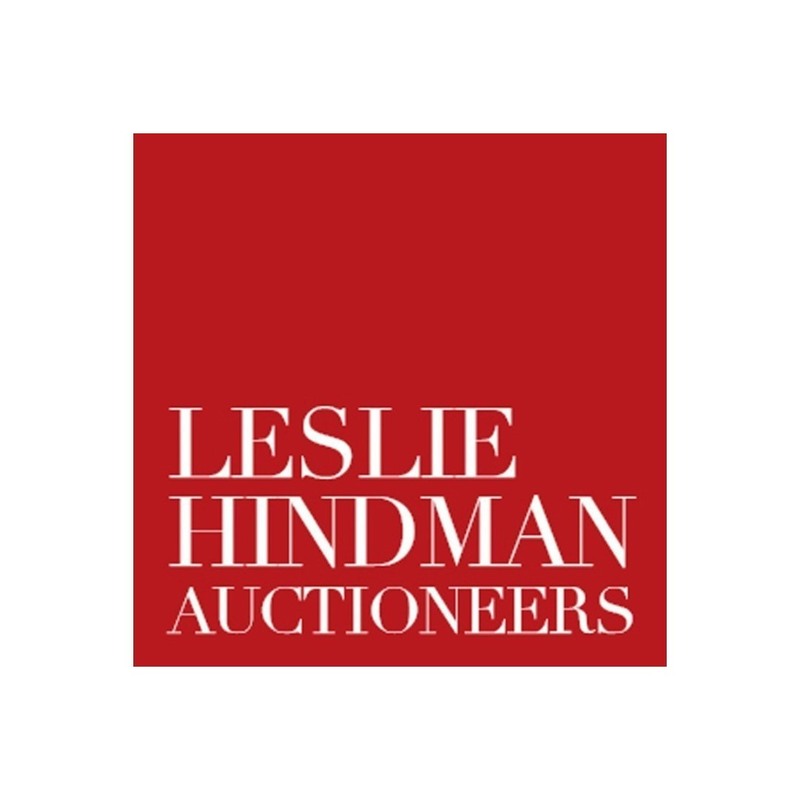 Founded by Leslie Hindman in 1982, Leslie Hindman Auctioneers is today the largest auction house in the Midwest. Moreover, while it is based in Chicago, Leslie Hindman Auctioneers also has representative offices and salerooms in Atlanta, Denver, Saint Louis, Milwaukee, Palm Beach, Scottsdale, and Naples, which allows it to successfully operate both across the U.S. and internationally. At Fine Art Shippers, we are incredibly proud to work with this reputable auction house that conducts over 60 sales a year, providing it with fine art handling and shipping services of the highest quality. Focused on selling 20th-century design, contemporary art, fine watches, jewelry, decorative arts, memorabilia, and antique furniture, Leslie Hindman Auctioneers is definitely one of the best places to acquire unique and rare items of any kind. Besides, this outstanding auction house also holds specialized sales of many distinguished collections and estates, which include everything from entertainment and sports memorabilia to fine art and antiques. It is an honor for Fine Art Shippers to serve Leslie Hindman Auctioneers, and we are always ready to pick up and deliver any item sold via this prominent auction house to any location worldwide. Our professional auction shipping services are always at your disposal! Ashville Fine Arts & Antiques is a reputable gallery located right in the center of Manhattan, NYC. Opened in 2000, it soon became highly popular with young and experienced collectors, decorators, designers, and architects from around the world. The gallery’s major specialization is sculpture and paintings from the 17th – 21st centuries, though it also features an impressive collection of ethnic arts, antique furniture, lighting fixtures, jewelry, porcelain, silver, decorative art, and a whole range of other items. In fact, you can find at Ashville Fine Arts & Antiques almost everything you could think of, from fine art to Art Deco pieces distinguished by the exceptional quality and special uniqueness. At Fine Art Shippers, we are incredibly happy to work with this prominent New York-based gallery, providing it with a variety of art handling and antique moving services both locally and across the United States. Moreover, as a professional fine art shipping company, we serve not only Ashville Fine Arts & Antiques but also its many clients, delivering rare and unique pieces purchased from this gallery to their homes. So whether you need to ship antique furniture or a valuable Art Deco sculpture, Fine Art Shippers is always ready to help! Born in 1973, Alben is a young and very talented self-taught French artist whose impressive paintings and sculptures are already highly sought-after by collectors and art enthusiasts from all over the world. For today, his works are held in many private and public collections in Paris, Bordeaux, New York, Chicago, San Diego, London, Hong Kong, Dubai, Zurich, and many other cities around the globe. If you visit any Alben’s exhibition, you will be surprised by the artist’s ability to create true masterpieces that perfectly combine Surrealism, Renaissance, Street, and Pop Art. Moreover, most of his works are made out of very unusual materials, making them even more attractive and unique. For example, Alben has a series of outstanding sculptures made of resin and plastic in combination with such unexpected everyday objects as Coca-Cola cans, toy cars, and colorful shuttlecocks. At Fine Art Shippers, we are so proud to work with this amazing artist and ship his superb creations that are simply out of this world! It is needless to say that shipping fine art like that is always an exciting experience and an excellent chance for our team of art movers to apply their extensive knowledge and art handling skills. Founded in 1996, East, or East Photographic as it is also known, is a premier agency for creative artists, with locations in New York City and London. Known for its straightforward, honest, and professional approach combined with personalized service, this innovative company is now home to many talented contemporary artists specializing in photography, set design, styling, moving image, and casting. For example, East represents such talents as Mobolaji Dawodu, Owen Silverwood, Gemma Tickle, Sonia Rentsch, Leandro Farina, Agnes Lloyd-Platt, and Francesco Nazardo, helping them both commercially and in their personal projects. Besides, this full-service agency manages every aspect of shoot production in-house, with the highest professionalism and enjoyment. It is indeed a great pleasure for Fine Art Shippers to work with East and its creative artists, shipping fine art and various other items for them to exhibitions and different important events held throughout the world. Moreover, it is an honor for our team to be their partners in New York City, providing this superb group with a whole range of art handling and art logistics services. Our fine art shipping company highly recommends East to all artists looking for a reliable agency with a wealth of experience and industry knowledge! When it comes to the best photographic printing, scanning, and retouching services in NYC, Laumont is exactly the place to visit. This innovative company has long been providing expert solutions related to fine art printing editions, making it an excellent choice for artists, galleries, museums, and creative people looking for new ideas for their projects. Besides, Laumont is also one of the best contemporary art galleries featuring an impressive selection of art prints and works on paper, mainly in digital medium. Plus, this company offers professional art framing, custom crating, mounting, and art installation services to meet the needs of its many clients. Shipping art prints made by Laumont is always a pleasure for Fine Art Shippers, and we really enjoy dealing with highly professional people working there. Combining a masterful blend of expertise with a unique collaborative spirit, they are, without a doubt, the best of the best in the industry, and, what is no less important, they are always ready to help find the best solution for any project. At Fine Art Shippers, we love to work with Laumont, and we can say with confidence that this company is a great option for any fine art printing needs! Edet International is a professional art logistics company and our reliable partner in France. Edet was founded in the Saint-Ouen Flea Market in the 1950s to serve sellers and buyers of the largest and most famous antique market in Europe. For today, this reputable fine art shipping company is headquartered in Montreuil, one of the most thriving and artsy suburbs of Paris. Its strong reputation for providing the highest level of fine art packing and shipping services has long been known throughout the globe, making Edet International a preferred art shipper for many. Besides, the company also has a 25,000 sq. ft. art storage facility fully equipped to accommodate even the most fragile and valuable art pieces. At Fine Art Shippers, we are incredibly proud to collaborate with this dynamic team of logistics specialists who know everything about proper handling of art, antiques, contemporary designs, and all other valuables and collectibles. It is also important to note that thanks to our partnership with Edet International, we can offer top quality buying trips from the United States to all the major art and antique fairs in France and Italy, with full assistance in purchasing and shipping various items out of Europe. 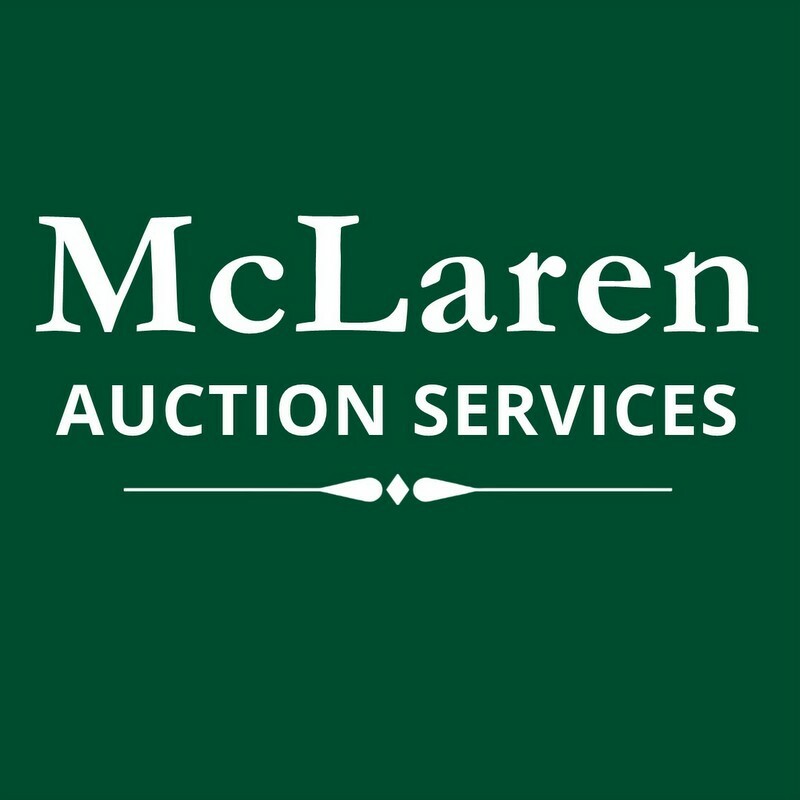 McLaren Auction Services was founded by Gary McLaren, a respected auctioneer with decades of experience in selling and buying art and antiques. Located in Aurora, Oregon, it is now one of the best auction houses in the United States, hosting antique and collectible auctions every three weeks live and online. Its major specialization is estate liquidations, but McLaren Auction Services is also known for its benefit auctions and fair market evaluations, not to mention its exceptional customer service and highly professional staff who are always ready to help. At Fine Art Shippers, we love to work with McLaren Auction Services, shipping fine art and antiques for this Oregon’s premier auction house all over the country. Whether you are looking for beautiful paintings, antique furniture, vintage pottery, Art Deco lamps, unique jewelry, sports memorabilia, or any other valuable items, McLaren Auction Services is an excellent place to start your search. As for our team of art shippers, we are always here to provide you with our comprehensive auction pickup and shipping service at a very attractive price. Besides, since Fine Art Shippers is an international art logistics company, we can deliver your art and antiques to any destination in the world!